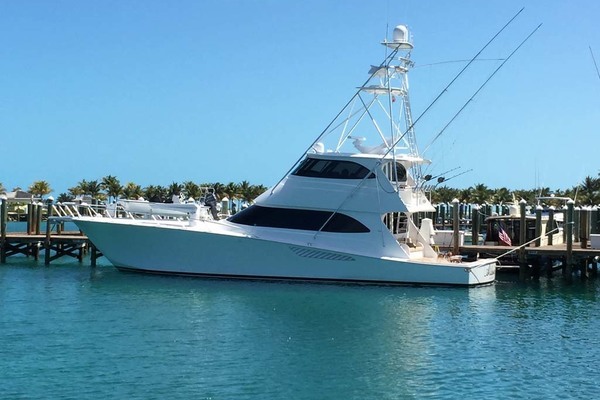 Owners will cover the costs to deliver or to have delivered the vessel to Miami for the new owners of "Sea Dance". "Sea Dance" with the yacht's recent awlgrip paint job (rub-rail up) and fresh, refurbished custom interior shows in excellent condition. 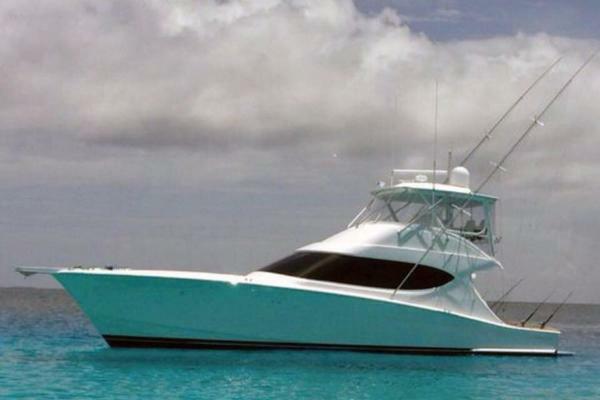 For sale by the yacht's only third owner and never fished, "Sea Dance" is conveniently located in the U.S.V.I's for anyone wishing to have their own yacht for cruising and fishing their way through and around the Caribbean Sea this coming fall, winter and spring. Bottom paint renewed spring, 2017, shaft's trued and wheels balanced. Teak cockpit with teal cockpit coaming boards, custom spreader lights, (6) GG Schmitt trolling rod holders and freshwater shower and sink. A Bluewater fish fighting chair (not aboard) may be made available by the owners for additional purchase (price $6,000.00).